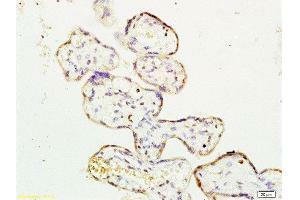 Mouse splenocytes probed with Rabbit Anti-ERK1 Polyclonal Antibody, Unconjugated . Image provided by One World Lab validation program. 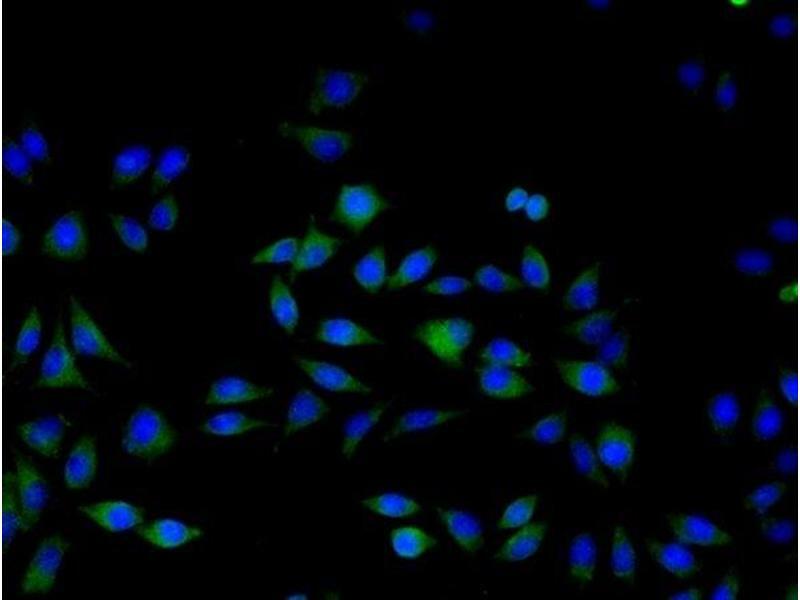 A431 cells probed with ERK1 Polyclonal Antibody at 1:50 for 60 minutes at room temperature followed by Goat Anti-Rabbit IgG (H+L) Alexa Fluor 488 Conjugated secondary antibody. Involved in both the initiation and regulation of meiosis, mitosis, and postmitotic functions in differentiated cells by phosphorylating a number of transcription factors such as ELK-1. 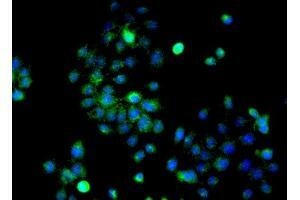 Phosphorylates EIF4EBP1, required for initiation of translation. Phosphorylates microtubule-associated protein 2 (MAP2). Phosphorylates SPZ1. 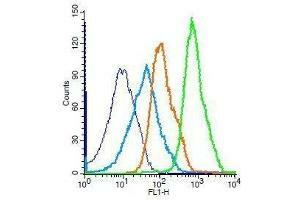 Phosphorylates heat shock factor protein 4(HSF4) (By similarity). 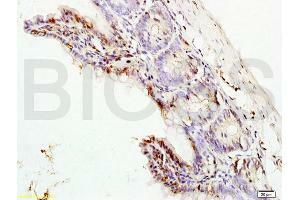 Highest levels within the nervous system, expressed in different tissues, mostly in intestine, placenta and lung. Increased expression during development. 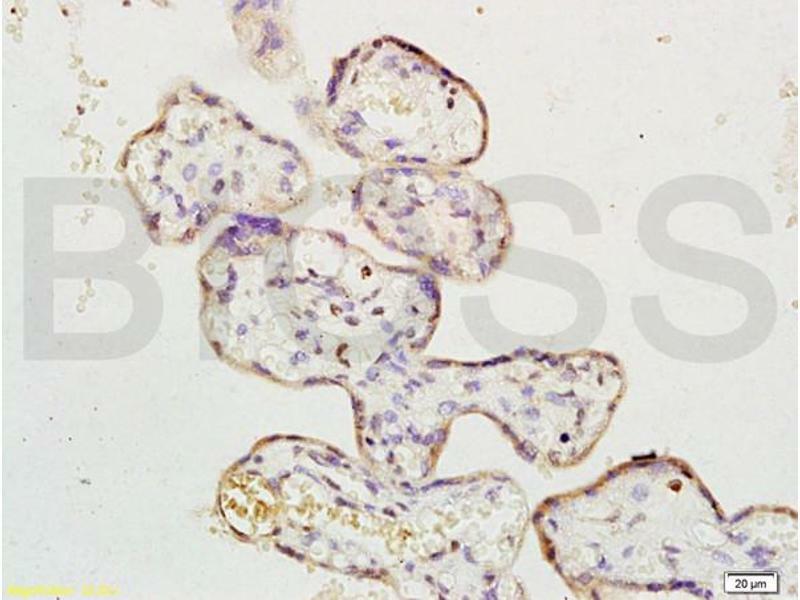 Belongs to the protein kinase superfamily. 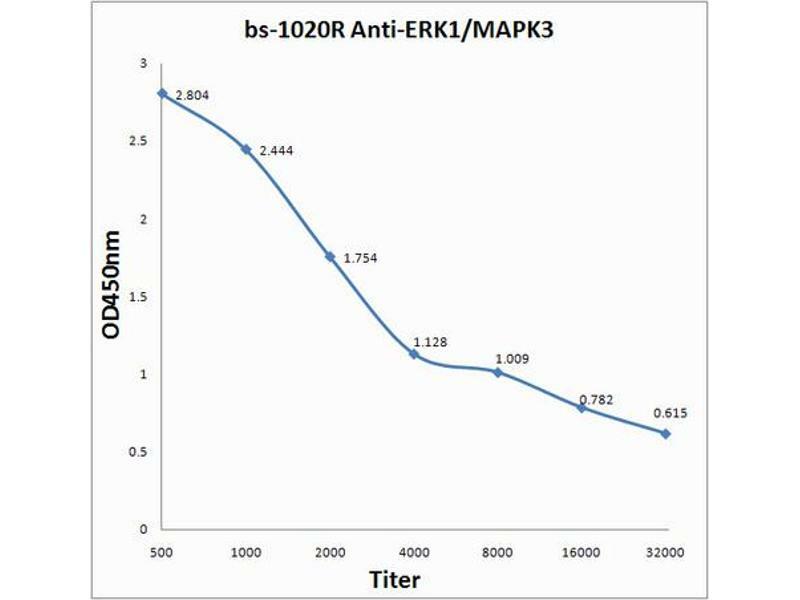 CMGC Ser/Thr protein kinase family. MAP kinase subfamily. 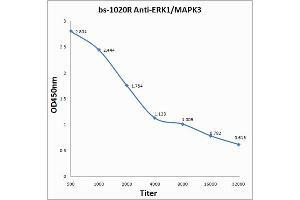 Contains 1 protein kinase domain. 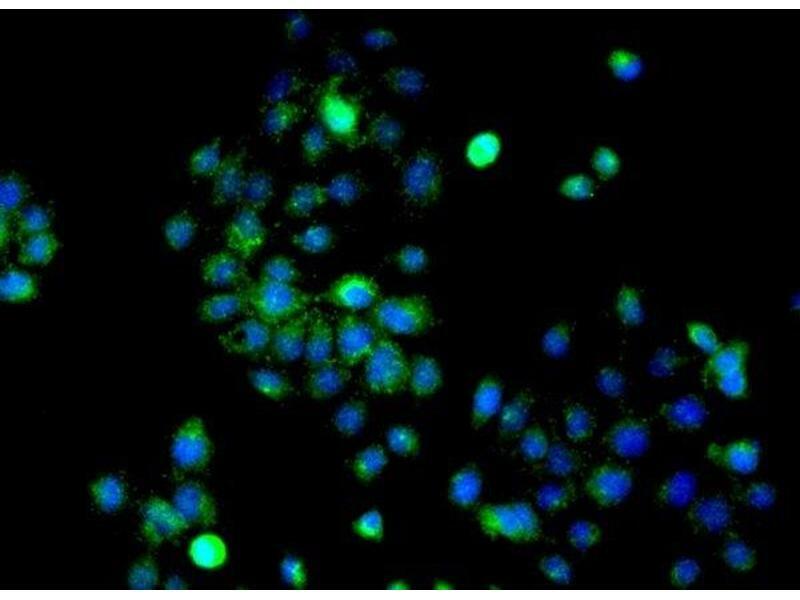 Li, Dong, Song, Xu, Liu, Song: "Nrf2/ARE pathway activation, HO-1 and NQO1 induction by polychlorinated biphenyl quinone is associated with reactive oxygen species and PI3K/AKT signaling." in: Chemico-biological interactions, Vol. 209, pp. 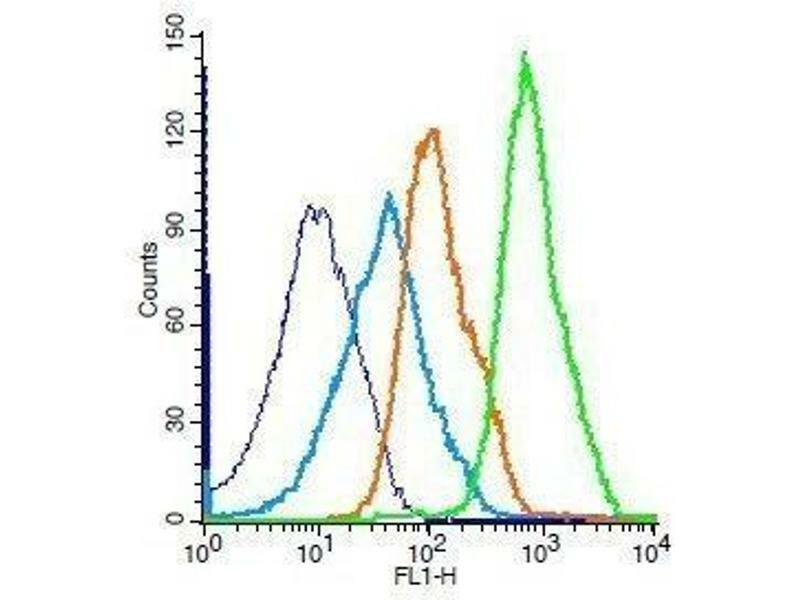 56-67, 2014 Method employed by authors: Western Blotting (WB) (Sample species: Human). Image provided by One World Lab validation program. 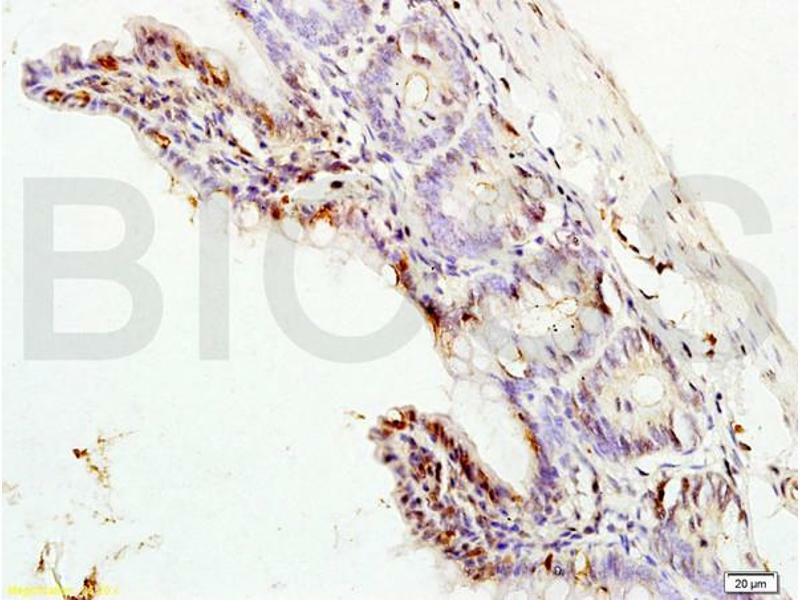 SMMC7721 cells probed with ERK1 Polyclonal Antibody at 1:50 for 60 minutes at room temperature followed by Goat Anti-Rabbit IgG (H+L) Alexa Fluor 488 Conjugated secondary antibody.